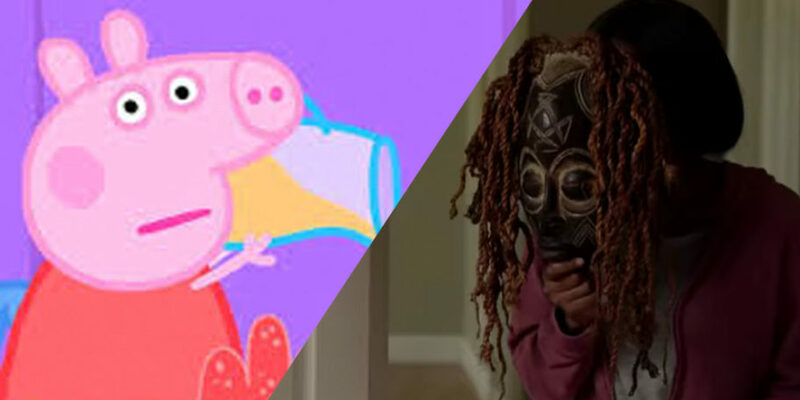 If you’re taking your child for their first ever cinema trip, the Peppa Pig movie probably seems like the safest imaginable option. However families at the Empire Cinema in Ipswich said their children were left in tears after trailers for psychological horror Ma and scary superhero flick Brightburn were shown beforehand. Among the viewers was a BBC journalist, who had taken her daughter of two for her first cinema trip. She explained: “Normally I would expect her to be singing and dancing when watching something like [Peppa Pig] but she was just really subdued. She continued: “I went mad at [the manager]. It was meant to be a special day for Annie. I don’t think he understands the impact of it. “Annie is very imaginative and scared of monsters and things like that at the moment. A spokeswoman for Empire Cinemas apologised for the incident: “As soon as the staff on site were made aware of the situation, the programme was stopped and trailers were taken off-screen immediately.